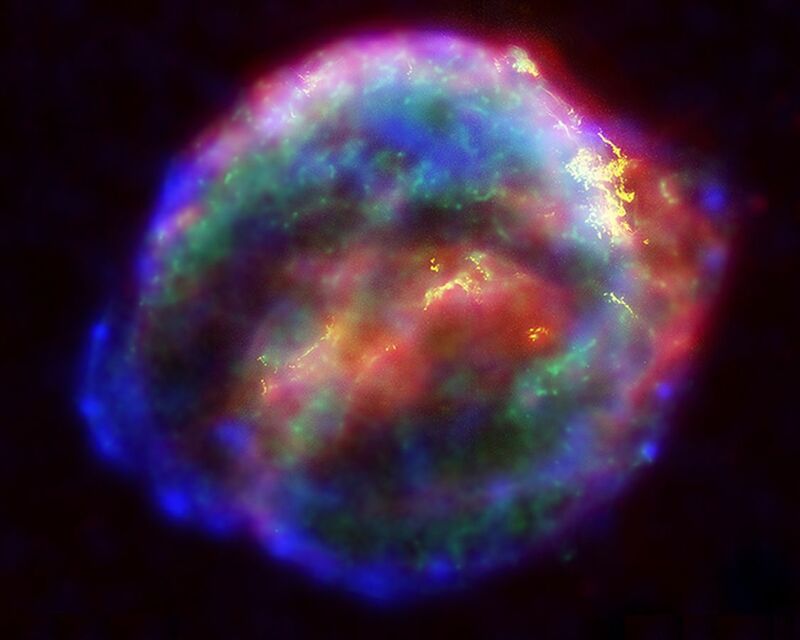 Type Ia supernovae are brilliant stellar explosions that can outshine an entire galaxy. They also have the useful property of always exploding with a similar brightness. This makes them useful in determining the distances of galaxies. By comparing the observed brightness of a type Ia supernova to its standard brightness, we can calculate the distance of the supernova, and the galaxy in which it resides. But while we know type Ia supernovae have a consistent brightness, we aren’t entirely sure why. There are two main models regarding how Type Ia supernovae occur. The first is that a white dwarf is in close orbit with a red giant star. Matter from the outer layers of the red giant is captured by the white dwarf, which raises its mass to the point where it collapses, which triggers a supernova explosion. The second is that two white dwarfs are in orbit with each other. As their orbits decay over time, they eventually collide and merge, triggering a supernova. Both of these models could account for the standard brightness of type Ia supernovae, and both would account for the type of elements seen in supernova remnants. Generally the latter model has been a bit more favored, since binary white dwarfs seem more common than two stars orbiting just close enough to exchange material. White dwarfs capturing material from a companion could also explode in ways that aren’t quite type Ia supernovae. Now a new paper in Nature finds evidence that points toward the captured material model. The team looked at gamma ray emission from a supernova known as SN2014J. This particular supernova was only 11 million light years away, which is pretty close as supernovae go, so the team was able to measure spectral lines from the element cobalt-56. This particular isotope has a half-life of only 77 days, so it normally isn’t seen directly. From these they determined that about 0.6 solar masses of cobalt-56 was produced by the supernova. This agrees with model of a single white dwarf exploding after capturing matter from a companion. The authors stress that certain kinds of binary white dwarf collisions could produce a similar result, so this doesn’t definitively answer the mystery. But given their data, the capture model now seems more probable.